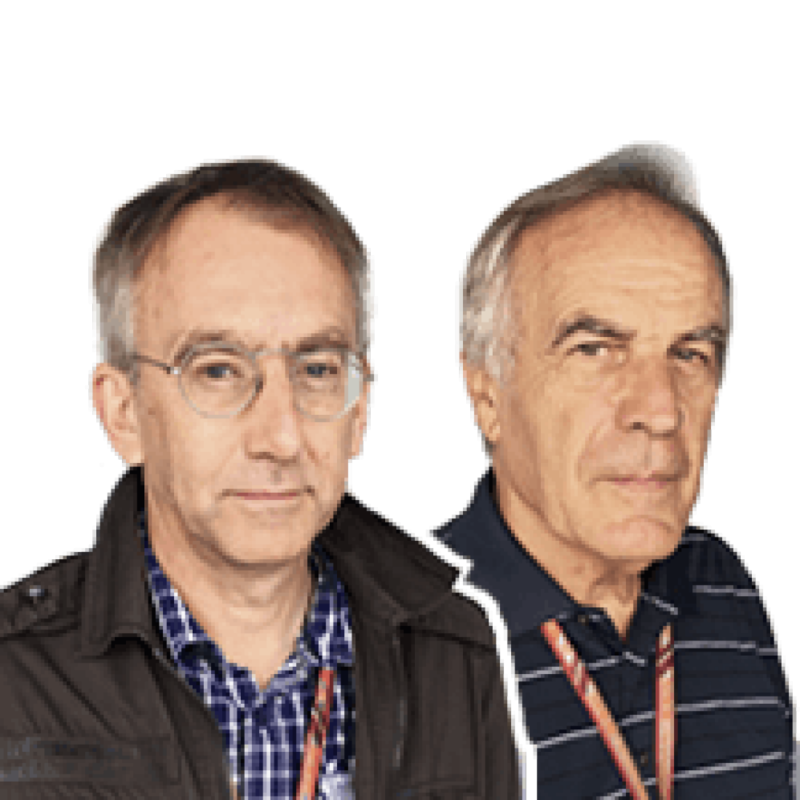 For every team the gap between the final pre-season test and the first Grand Prix weekend two weeks later is more than just a logistical blur. It’s also a vital opportunity to make further tweaks and additions to the car, most of which will have already been planned even before the final test. At Red Bull, long renowned as a team that can get new parts from design stage to the car extraordinarily quickly, they produced a new aero package that included a new front-wing endplate and a slightly revised bargeboard. The latter part of this had been briefly on the car in Barcelona, but was destroyed when Pierre Gasly had his second crash. 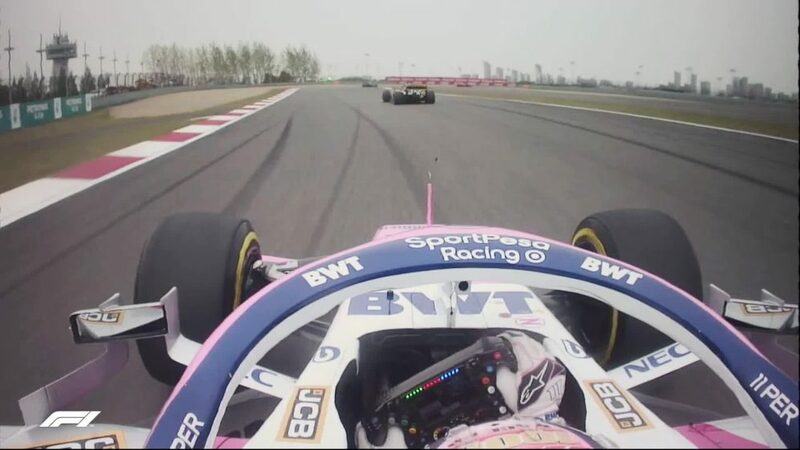 The original plan was to have this on the car in Barcelona only for data gathering and correlation prior to its planned introduction – along with the new endplate – at the Chinese Grand Prix. 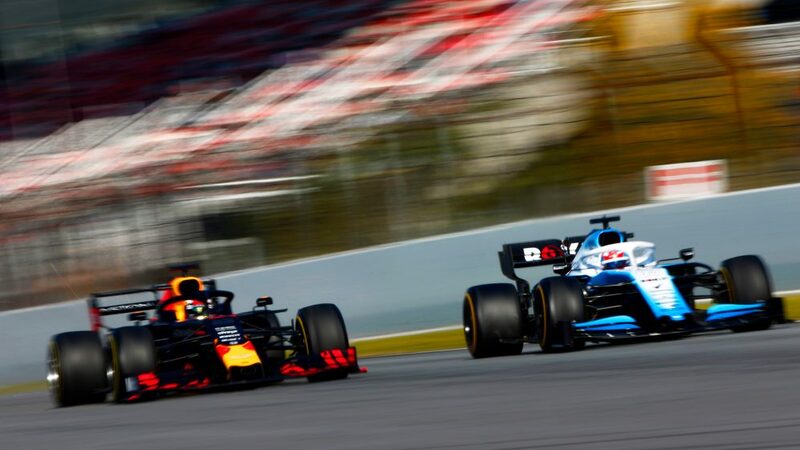 But with some reorganisation, the team realised it would be possible to have the whole package ready in time for Melbourne and it was on the RB15 throughout the race weekend. 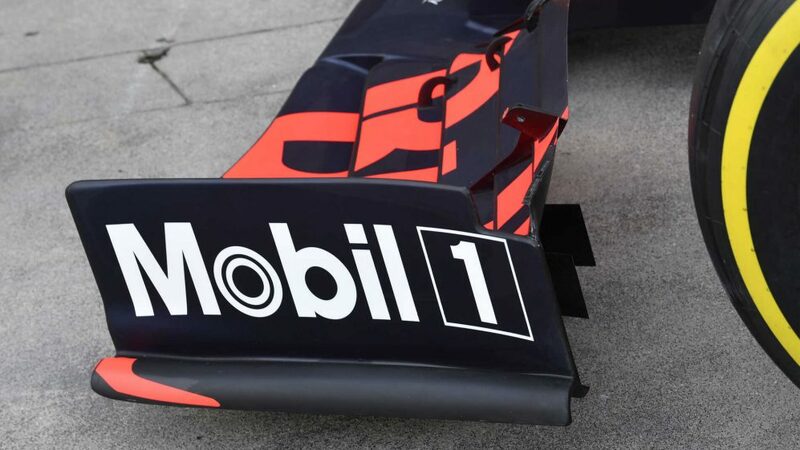 The modification to the endplate comprises a small cutaway at the top rear corner, helping the airflow to be guided around the tyre with a bit more force, albeit with a small sacrifice in how much downforce the wing elements themselves are creating. The endplates are there to create a ‘fence’ preventing the vortices that would form off the end of the elements from disrupting the flow over the elements. They thereby help the wing produce more downforce than if the ends were just in free air. But there is a trade-off in overall effect between creating downforce from the front wing itself and having the optimum airflow further back. 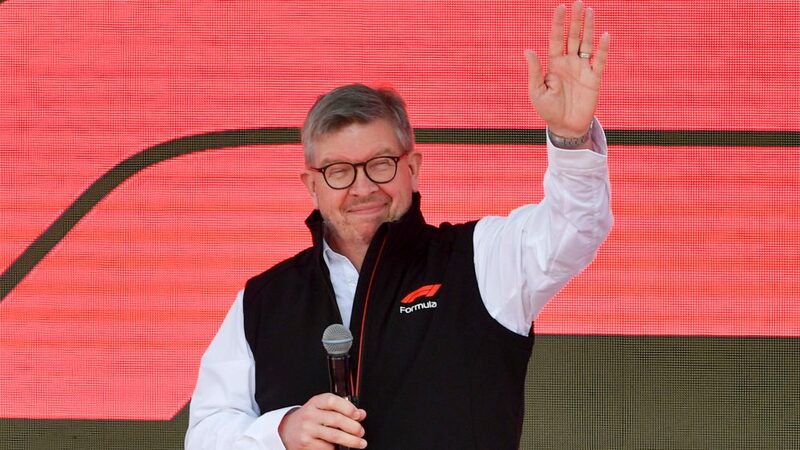 This trade-off in essence is what the two opposing philosophies of front wing chosen by Ferrari and Mercedes are about. 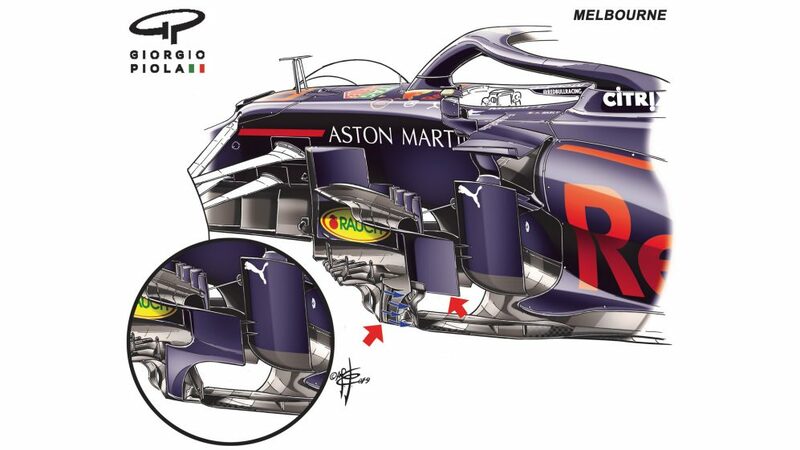 Red Bull’s wing is much more like Mercedes’ than Ferrari’s, in that even at the outboard ends in front of the tyre, it still fills the permitted depth with wing elements, rather than cutting them back like Ferrari (and Alfa Romeo). Creating this cut-off in the endplate – which Mercedes also did with their wing in the second week of testing – represents a small tweak to that trade-off. It will be working in concert with the small change made to the bargeboard area. Some parts of the bargeboard are directing the air towards the sidepod area, those further out are part of maintaining a pressure wall that keeps the outwashed airflow that’s travelled around the tyre from interfering with the flow going down the bodysides. In this way, the speed of the flow down the bodysides can be maximised. What was initially a conjoined outer vane (main image above) has been split into two parts (inset image above) to decouple the flow in that region for a more precise control. The lower part of the new arrangement features vertical slots that should help more precisely condition the flow down the body sides and prevent it straying towards the out-washed flow. At Williams they were equally busy between testing and race weekend – but unfortunately for different reasons. 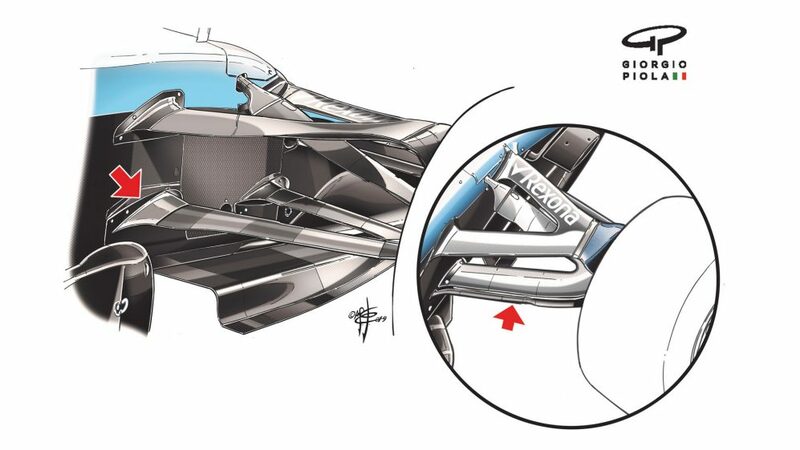 Hasty modifications had to be made to the FW42’s front suspension after the original (inset image above) was deemed not to be in compliance with the regulations, which state a maximum of six suspension elements. The addition of a narrow leg just behind and below the lower wishbone was deemed to be a seventh element, despite the argument that it was not a suspension element but merely a component that ran parallel to part of the suspension. Having it mounted closely below would accentuate the lower element’s power in directing the airflow downwards. Whatever its nominal function was (carrying cables has been speculated), it has now been incorporated into a single-piece lower element.